A local kid appeared in the Nike ad that features Colin Kaepernick. 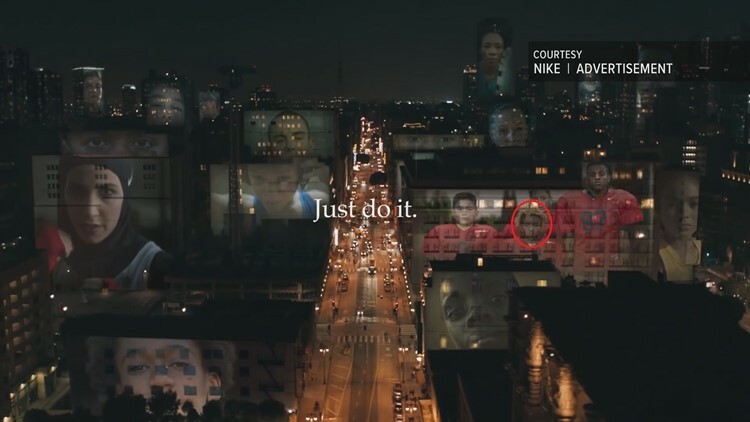 BUFFALO, N.Y. - A local kid was apart of the infamous Nike ad that features Colin Kaepernick. 10-year-old, Jack Eskridge "Baby Jack," is featured at the end of the commercial. But, this isn't the first time Jack has been in the national spotlight. If you are looking to spot him out, he appears at about 1:58 in the full ad, and is the shorter kid on the building to the right. He was also the center of a viral video of his one-handed catch, similar to the style of New York Giants player, Odell Beckham Junior, and that is what captured Nike's attention. "Baby Jack" told 2 On Your Side he will continue to work hard on his football skills in hopes to one day play in the NFL.